Apex is the best quality auto glass chip repair service available in Buellton. We take pride in setting ourselves apart from the rest and we work tirelessly to make sure all of our customers are completely satisfied! Our top priority is your satisfaction, from arriving on time to completing the job professionally and inexpensively. Apex Auto Glass is known for our fast, friendly service and our reasonable rates. Give us a call today! Are you concerned about the time it will take to get that chip or crack fixed? There is no need for concern when you call Apex! 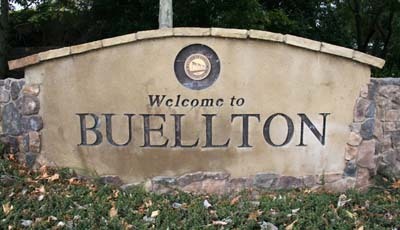 We will come direct to you in Buellton, so you don’t have to take time out of your busy schedule to come to us. Almost all auto glass chips and cracks can be repaired right at your location. So don’t let what starts as a small inexpensive chip, get out of hand and more costly. Apex makes it easy to get your auto glass chip repaired swiftly, because we don’t want it to become unsafe. Call us now and we’ll get it handled, it’s quick and easy. Wondering if your car’s glass chip be repaired? You should be very glad to hear that our professional technicians are usually able to repair auto glass chips. To determine if yours is in the running for repair, answer these two simple questions: Is your auto glass chip smaller than the size of a quarter? Is it located where it is not directly in line of the drivers vision? Did you say “yes” to both of those questions? Great, most likely your chip can be repaired! If the chip or crack is larger, you have multiple chips or they are close to the drivers visibility, then it would be a good idea to have Apex come out and assess the situation. we will let you know what your repair or replacement options are and get you taken care of right away. Lack of time is not what should keep you from being wise and having your auto glass chip repaired right away. Did you know that even small chips and cracks can spread over time? They will become unsafe and more costly to take care of if that happens. But most chips and cracks only take 15 minutes or less to fix, give us a call soon so we can help while it’s still a quick and easy job! Might need your windshield replaced? Give us a call and ask for a free windshield assessment! Also bookmark this page to access auto glass chip repair information later.